Mary joined HireNetworks as a technical recruiter in the summer of 2018. 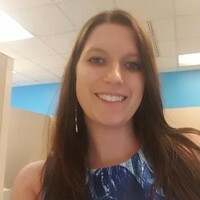 She has been an IT recruiter for just over 3 years and has a passion for connecting top quality IT talent to tech startups, mid-market, and enterprise level clients. She believes that in today’s world there isn’t one single direct source to find the right people. It takes a creative mind, innovative strategy, and networking to stay connected in the market.